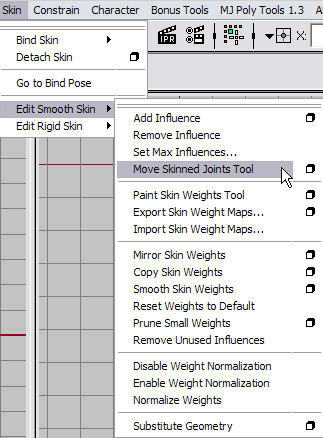 Maya 2008 introduces a new "Move Skinned Joints Tool" in the "Edit Smooth Skin" menu. This makes it much easier to fine-tune joint positions after skinning without the need to detach and rebind the skin. 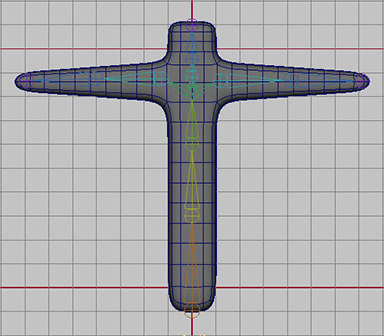 However this tool forgets about the bind pose as I will show in the next few pictures. Here is my skeleton in its original bind pose. 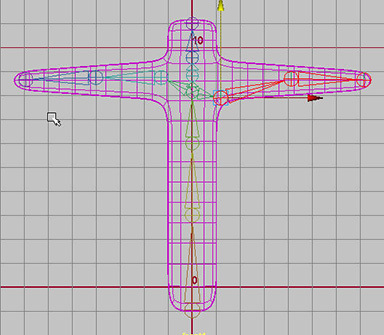 I then use the "Move Skinned Joints Tool" to reposition the sholder joint. The problem is that if I use the "Skin|Go to Bind Pose" menu I get this. The solution requires a mel command, but it needs to be executed for each joint that was moved and the name of the bind pose node must be specified. These are details you probably dont want to be thinking about so I wrote a little mel script to simplify the process. djResetBindPose.mel allows you to just select a joint and run the script. The bind pose will be reset for every joint in the heirarchy. 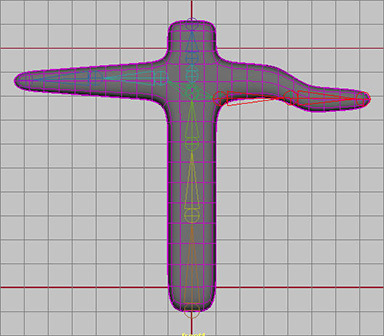 If you do this after the "Move Skinned Joints Tool" and before "Go to Bind Pose" then everything should work correctly.